Two days ago I participated in my first ever half marathon at the Blackmores Sydney Running Festival. I’d been considering a half marathon for a couple of months now but the thought of running 21.1km is very overwhelming so left the decision until only a couple of weeks before. I couldn’t get the idea of a half marathon out of my mind so I knew I wouldn’t be satisfied until I tried it. My goal was to run the whole thing and not worry about a specific goal time. I achieved this and did run the entire distance- time in the end was 2:03.51. I’d definitely do another half marathon (not for awhile!) my goal next time would be to get under 2 hours. The reason this feels like a huge achievement is because running is a new sport for me. I’ve only done it seriously for a few months now, July was my first ever running event and prior to the City2Surf in August, I’d never run more than 10km. I don’t have the background in running that I do in swimming. Also, I’ve never done any specific training for a running event or for this half marathon. I’ve relied on my swimming training and, as a result of having a good fitness level, I’m able to give long distance running a go. There’s no way I could have done this without the swimming. I convinced the husband to participate in the Family Fun Run which is a 4km. He came in the top half without running any of it! He’s also agreed to come to the next running event which is in two weeks time. My sister went back to London yesterday after being here for three weeks. We had the best time together but now I’m really feeling her absence. We tried not to make a big deal of her leaving as I knew we’d talk again the next day. The hardest part for me is knowing this is intended as permanent- – we won’t live in the same country again, the most I can expect is a couple of weeks together every year. I get through it by keeping incredibly busy especially with sport. If I need to be somewhere and I’m constantly around other people, I can’t possibly feel what I might otherwise. Keeping busy and taking it one day at a time is the only way I get through anything in life and it’s taken me awhile to learn that. Here is a re-post of my favourite picture of our time together. Swimming is still taking up a lot of my time. I’ve taken a two day break after running the half marathon and I think that’s actually the longest I’ve gone without swimming all year. More than enjoying swimming, it’s the desire to improve which motivates me to continue. Daily exercise and early mornings have become a way of life now; it doesn’t feel right when I’m not doing that. It was amazing to do some swimming with my sister while she was here; I’m surprised she wanted to swim so often. I took her to weekly racing at swim club and it reminded me of when we were kids. I tried some outdoor swimming last week to see if it was warm enough again- I had the whole pool to myself! I’m enjoying the spring weather; everything in life seems better and more manageable in this weather. It changed so quickly, almost overnight it became warm again. 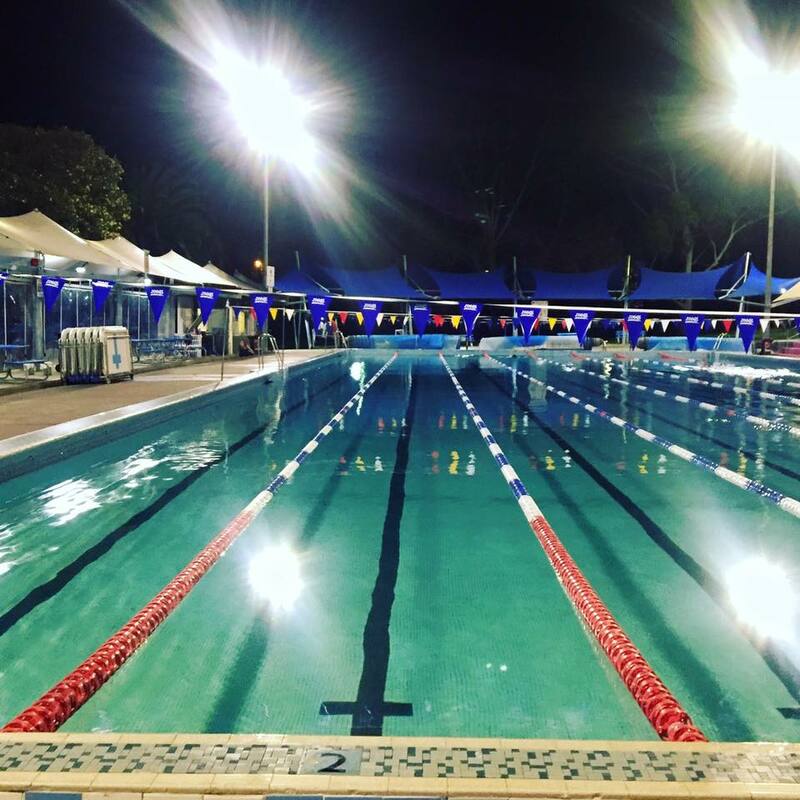 I keep reminding myself training can only get easier now, I truly have no idea how I showed up to the pool at 5.30am each Monday throughout winter, for example. It’ll be so enjoyable in coming months when it’s hot at those early hours of the day. I took this picture at lunch time on a work day. I rarely see the city other than while in the area for work. 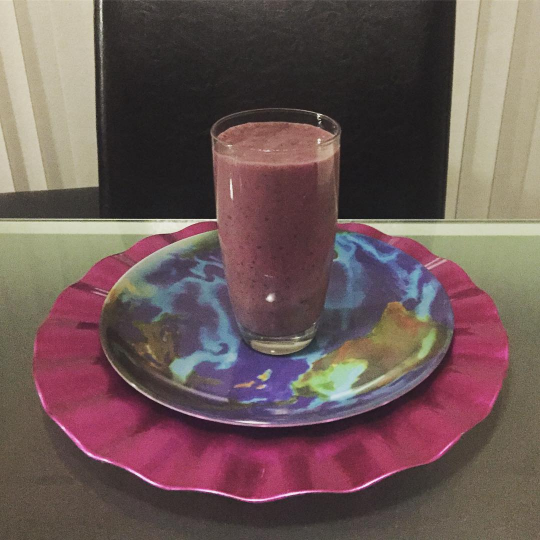 About a month ago I incorporated fruit smoothies into my diet. For as long as I can remember, I’ve had the worst possible diet, it’would be embarrassing to even mentioned it! In fact it wasn’t until I discussed it out loud that I felt motivated to make some changes. I haven’t changed completely but this is one daily improvement I’ve made. I previously didn’t eat fruit at all and one of these contains berries and a banana. The other benefit is it takes about 5 minutes to make. I often have them for dinner after training. I previously would have ordered takeaway because of being too tired to do anything else. The husband will drink one if I make them so that’s a bonus too. This entry was posted in Life Lately, Lifestyle. Bookmark the permalink. Sport can definitely keep you busy. I love the kind of friendship you have with your sister. I feel how much you love each other. You both look so, so beautiful! Dear Imogen, I am always so amazed by your achievements and it's something I would like to do – wow, you ran, I know, starting in July, and now the half marathon in 2:03 hours, amazing! I know you will improve, for sure! Also, swimming is great! I know that smoothies are good, I also have a horrible diet, but I am trying my best to eat more veggies and fruits 🙂 So, well done again. And as for your sister, I am so happy that you were together again! I have 2 brothers and when I meet them I feel so, but really so very happy! 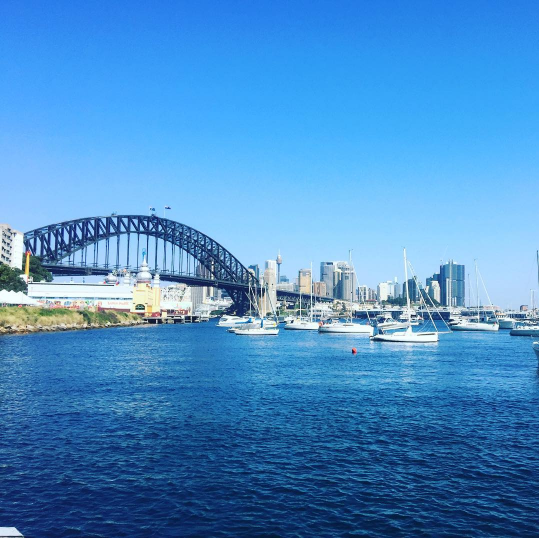 Imogen, a fellow blogger has recently moved to Sydney, I wonder whether you would like to know her? At least to check her blog, it's up to you, I thought you could give her some tips 🙂 Lindsey from Have Clothes, Will Travel. Hope you have a very lovely day! Congratulations on your running and swimming achievements. Sorry your sister's visit is over. Hope you all had a great time! Congrats on your run – huge achievement! Smoothies are awesome! Yummy and so good for you! That's so exciting about your marathon, congratulations!! I'm glad you had such a lovely time with your sister 🙂 Smoothies are great! I started eating healthier a few years ago, more veggies and things like that, and I feel SO much better! Woo hoo congrats on your first half!!! Sport can passionate and motivate you a lot! Lovely! Good luck on the run. Sport can definitely make you happy and healty!. I love the kind of friendship you have with your sister. Running a half-marathon in 2:03:51 is very impressive – kudos! I love the photo of you with with your sister and the outfit you were wearing in it. That light blue printed skirt is gorgeous, and looks fabulous styled with the red top with floral print. I watched you swimming in some of your short YouTube videos. The smoothie berries and banana sounds yummy. I really must try making some myself – they're very healthful in addition to being tasty. Congrats on your achievements! I love sport! Good for you for being so passionate about the swimming! Oh, I missed this post. What a cute picture of you and your sister. So sorry she had to leave, but I’m glad you got to spend some special time with her. It sounds like you are very close. 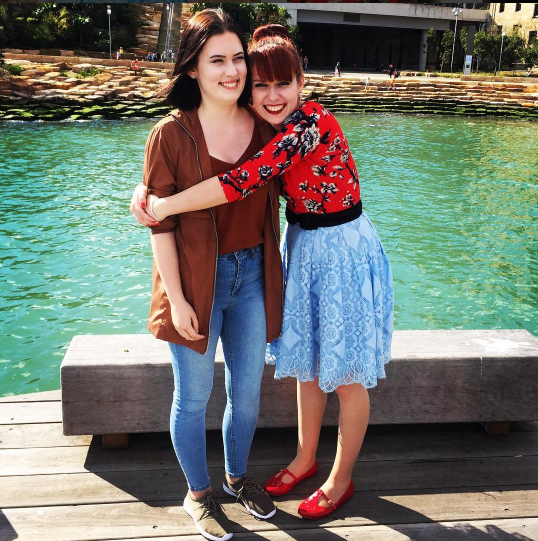 I love this picture, Imogen, because it shows how loving you are, and that is such a wonderful thing.